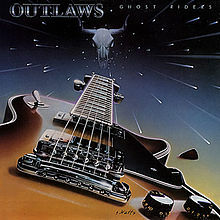 Let us begin with the single that got them recognition north of the Mason- Dixon Line, “Ghost Riders in the Sky.” There have been many covers of this song before and after The Outlaws put their own stamp on it. My father in law likes the version from 1948 and a British band, The Stranglers, made an instrumental version in 1980 and even Elvis sang it. “Needless to say, which version I like. But the album doesn’t begin and end with the one song. There are plenty of great songs on it and many of them have some outstanding guitar work. In fact, the second song “White Horses” has an impressive acoustic guitar sounding intro before going nuts with some harder stuff. The same can be said for the final song “Freedom Walk.” Even the slower “I Can’t Stop Loving You” is not lacking a cool guitar solo or two and “Angels Hide” is a total rocker. All in all, “Ghost Riders” typifies everything I love about Southern Rock. The Outlaws are what the gods of rock envisioned when they forged this great genre known as Southern Rock. Great guitar solos innertwined with some hard rocking chords and even a slow acoustic chord. With “Ghost Riders,” you can’t go wrong. Sticklers for music history will point out that this album was released in 1978, but it didn’t come to my attention until March of 1979. How it did is an amusing story. An Air Force recruitment band came to my high school and played a gig. They introduced “Hold the Line” by saying that Toto had left Dorothy and the rest of the Wizard of Oz group and formed his own band. No, I didn’t find that funny either, but they did make the song sound good. Therefore, I was totally impressed when I heard the actual version by Toto. If someone bought this album today after hearing “Hold the Line,” they may be disappointed in the fact that Toto aren’t a true hard rock band. They are more of a prog rock band with elements of hard and soft rock. I will go out on a ledge here and say they sound like 10cc with a bit of Kansas thrown in. While the album definitely isn’t party killing, it’s not a party enhancer either. This album is what I call a good wind down album. It’s great for playing when travelling home from a metal concert and you want something to bring you down. It’s also good for chilling in your big chair. One thing I can say from this and other offerings by Toto is that they’re all talented musicians. The opening track, “Child’s Anthem” is a brilliant instrumental intro to the album and while some of the song “I’ll Supply the Love” has that generic commercial 70s sound in some places, there is some good guitar licks and a keyboard solo to bring it up. A critic, which I’m not, might say that the musicianship makes up for any other flaws in the music. 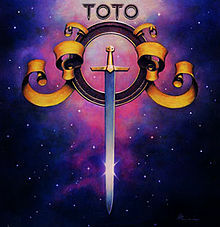 Toto are a good prog rock outfit, maybe not as good as Kansas in my opinion, but still good as their first album shows. And don’t pay attention to Wayne’s “Top Ten Party Killing Tunes” list.